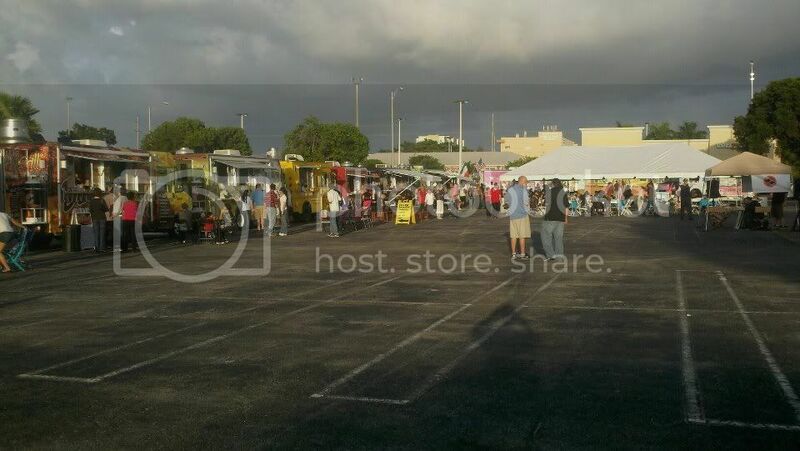 Orlando's Food Trucks: Bacon Off: The Fight Your Mouth Wants. Bacon Off: The Fight Your Mouth Wants. Bacon Off: The Fight Your Mouth Wants! 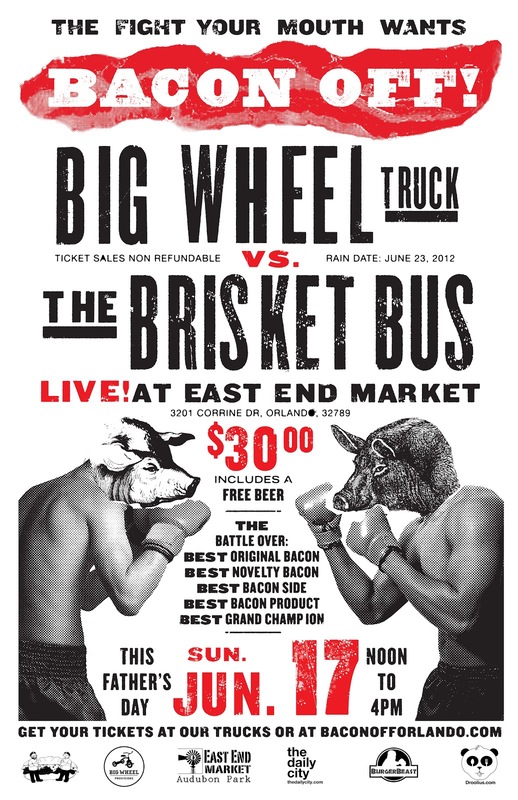 On this Father’s Day, Sunday, June 17, 2012, the Big Wheel Truck and the C&S Brisket Bus, Orlando’s award winning food trucks, will place their house cured and house smoked bacon head to head for guests to choose the best bacon. Starting off as playful Twitter banter between the two trucks on whose bacon is best, Bacon Off has developed into a multi-sponsored event, with the promise to bring some friendly fire to Orlando’s bacon lovers. As a first event of it’s kind in Orlando, the $30 ticket price includes a bacon sampler plate from each truck, with tastes of bacon in 5 different categories; guests will vote on their favorite, and the winner of each category receives bacon bragging rights. Ticket price also includes access to a bacon-filled buffet and a free beer. Bacon Off is being held at the construction site of the new East End Market in the Audubon Park Garden District. To be opened in late 2012, the East End Market will be an indoor farmer’s market, open to the public 7 days a week, and will also feature a commercial kitchen, restaurant, event space, office space and adjacent outdoor garden. Event Producer, Miami’s Sef Gonzalez of Burger Beast, is making his event debut in the Orlando market. Burger Beast’s widely reaching blog promotes Comfort Food in the Southeast, and has supported the rise of Florida’s food trucks. Additional event sponsorship include local blogger and producer Mark Baratelli of The Daily City, and local food blogger Julius Mayo of Droolius. Tickets are $30 each, and can be purchased at www.baconofforlando.com. Tickets can also be purchased directly from the Big Wheel Truck or the C&S Brisket Bus during service hours.